The Denver Broncos football team are a bunch of classless winners. I am not talking about the always classy and dignified Peyton Manning. I am talking about the defensive members of the Broncos, including their defensive coordinator, who have decided to go out of their way to purposely disrespect and degrade Carolina Panthers quarterback Cam Newton after Denver clinched Super Bowl 50 with a 24-10 win. I have several problems with the post-Super Bowl taunting and trash talking the Broncos are doing. In this writer’s opinion, the Broncos have crossed the line in sportsmanship. Instead of being celebrated as champions, they have turned out to be a bunch of ignorant punks hiding behind the media to take cheap verbal shots at the league’s most valuable player. Newton, who completed 35 touchdown passes and ran for another 10 scores to earn the NFL’s regular season MVP award, accounted for 300 yards in total offense against the Broncos, but wasn’t able to turn in his routine dominant performance most people had been accustomed to seeing. And so what do the Broncos’ idiots go out and do instead of winning with dignity and class-they become The Three Stooges and Friends. First of all, you won the Super Bowl. Why did the Broncos feel the need to smear another opponent for no other reason except for jealousy and straight out hating after they have won the biggest game in the NFL? Winning and celebrating with the right spirit should have been all the gloating they needed to do. 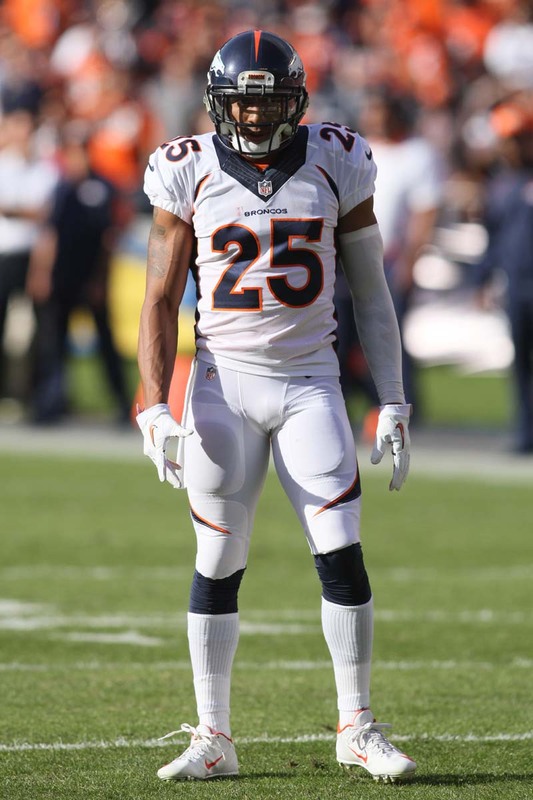 No, that wasn’t enough for defensive players Aqib Talib, Chris Harris Jr. and linebacker Danny Trevathan, who have decided to be buffoons on a stick for the Broncos franchise, going clearly out of their way to smash Newton after his worst performance of the year. Funny, I never heard these fools talk that kind of trash before the game. They had two weeks to say something, but didn’t. You wait until after the game is over to talk smack? Really? Only classless cowards do that kind of crap. Not only is it bush league, it takes a grade school mentality to go the route that Talib, Harris, Trevathan and defensive coordinator Wade Phillips have taken. To tell the truth, it is simply disgraceful the way Talib, Harris and Trevathan has called out Newton’s role as a leader and his manhood. The essence of this issue is that I have never heard these black players call out a white quarterback the way they ripped into Newton. Is this a black thing? Just because you win a Super Bowl ring does not give you the right to be classless. This is my problem with this trash-talking mess. These busters were not taking verbal shots at Pittsburgh Steelers quarterback Ben Roethlisberger or New England’s Tom Brady. They never will. I mean, who the heck is Talib, Harris and Trevathan to call out another black man’s manhood and question his leadership skills just because they are taking their lead orders from their white coach? I guess it’s easy to do when you’ve been infected with the typical crabs in a barrel syndrome. Unfortunately, there are black people out there who hate to see another black person do well. And that goes without saying in sports as well. It appears that Talib, Harris and Trevathan all fit in that box. Apparently, these bozos didn’t receive any home training on how not to tear down another black person in public in front of white America. Trevathan and Talib seem to be the lead cheerleaders in the glib and stupidity department as they seem to mask all of their clear disdain for Newton. 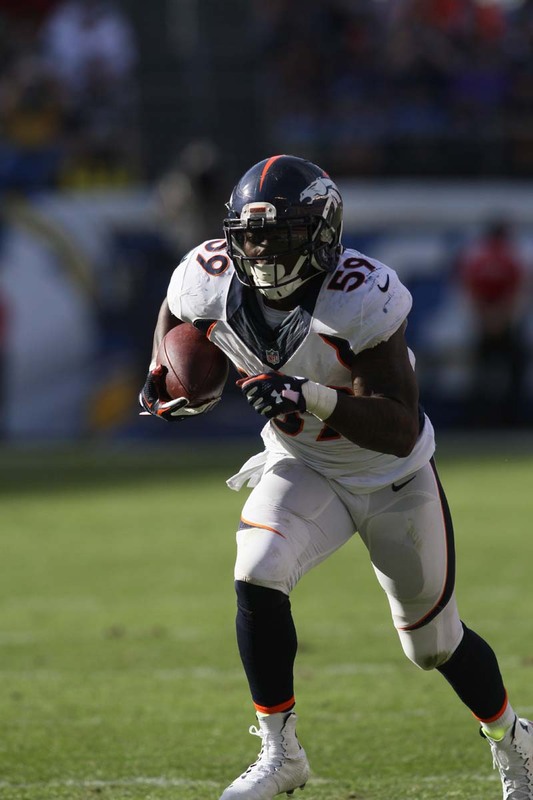 “If he don’t wanna be a man, then he don’t wanna be a man,” Trevathan said on Fox Sports Radio. Trevathan was getting started in his hatefest towards Newton, suggesting the quarterback was selfish, according to an article that appeared in Sports Illustrated. Well, Mr. Clown, I mean, Mr. Trevathan, how many footballs did you hand out to children this season? Are you mad because you didn’t have the intellect to popularize the dab dance as Newton did? Talib’s take on Newton was about as poor in taste and childish as you can get. “There ain’t no Easter Bunny, there ain’t no Santa Claus, there ain’t no Superman,” Talib said in a tweet sent out by the Broncos, according to published reports. Yeah, real class there. The Broncos sound like a bunch of sore winners, and that includes Phillips, who took a nasty jab as a coach to an opposing player that is 42 years younger than he is. It seems to me that the Broncos players hate everything that Newton stands for. That probably explains all of the shade being thrown in Newton’s direction for no reason. When you’re great as Newton is -that is when all of the haters come out of their small-minded closets and attack you. Ignorance knows no boundaries.